Welcome to Robert Lukas Enterprises. 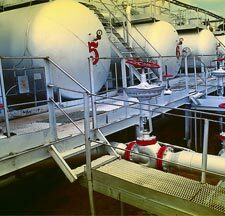 We are an industrial supply company providing quality protection coatings, professional sealing products, and pump repair to industry for over 20 years. Our quality, customer service, and attention to detail are top notch in the industry. We service many industries so whatever your application may be, our product specialists can develop a cost-effective solution that works just right for you. Our years of experience means you get the right advice and the right products for your particular application needs. Our years of experience have given us a wide range of knowledge and allow us to provide you with the best educated information. From general to heavy industry, you can be sure that our recommendations are the right choice for your organization. Contact us today to reduce your down time and lower your repair costs.